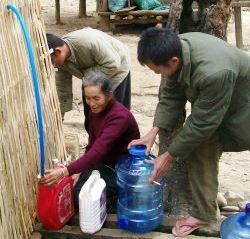 In order to supply rural areas in Laos with safe water resources, AUTARCON GmbH and GIZ have initiated a pilot project. In the remote village of Muang Xon a first solar powered SuMeWa|SYSTEM will be installed to supply sustainably safe water to the local inhabitants. This will go along with the development of an adapted business model to institutionalize the water supply in the village. The aim is to assure long term operation and maintenance of the system and to trigger the extension of the system.